A Michigan man says he's seen Bigfoot several times. Midland County's Anthony Padilla claims that not only is the legendary creature roaming the woods of Mid-Michigan, he's actually been living on his property for years. 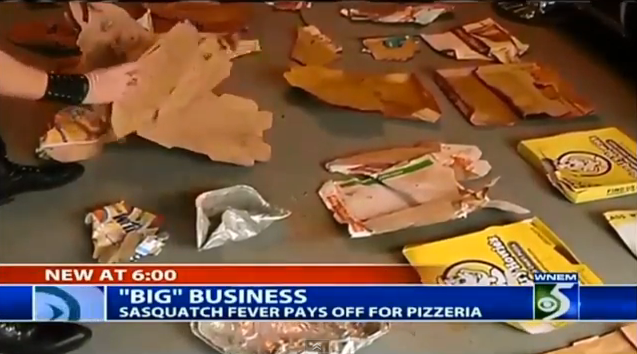 The man claims to be feeding the Sasquatch by putting food into pizza boxes. Consequently, the local Pizzeria is getting more business and even throwing some Bigfoot related stuff on the menu.